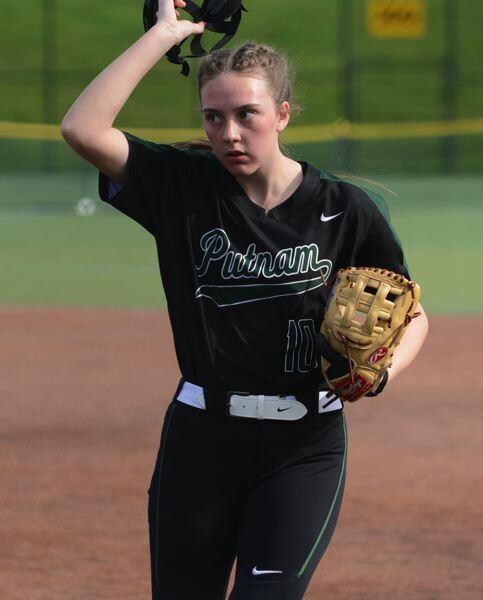 CLACKAMAS — The Rex Putnam softball team came through in crunch time to take a 3-2 win over David Douglas on Tuesday at the North Clackamas spring break tournament. Trailing 2-0 most of the way, the Kingsmen made their move in the bottom of the fifth inning when Gracie Avila slipped a single under an infielder's glove on the right side, and Aliyah Kilton followed with a double down the right-field line. Up next was rookie Rhyann Butler, who punched a single through the middle to tie the score 2-2. Rex Putnam made quick work of the Scots in the sixth inning with Avila tracking down a fly ball in deep right field, followed by Butler making a bare-handed snag half-way down the third-base line for the second out. Putnam's senior pitcher Melia Croydon struck out the last batter. Rex Putnam continued with the hot bats into the sixth inning with Faith Vadelund and Anna Keller leading off with back-to-back singles. Two batters later, Croydon stepped into the batter's box with two outs and the winning run at second base. She smacked a first-pitch double to the left-field fence. "I was done losing. I really wanted the win," Croydon said. "Those earlier base hits put people on, and that was the make or break for us." David Douglas went to pinch-hitter Jordan Maxwell to lead off the seventh, and she delivered with a single through the right side. 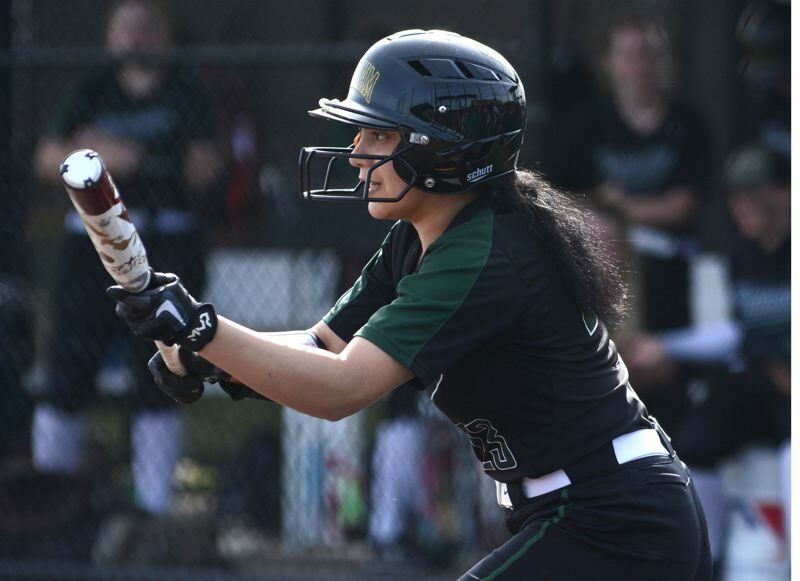 A pair of ground-outs allowed her to scoot around to third base, but the door home remained shut. 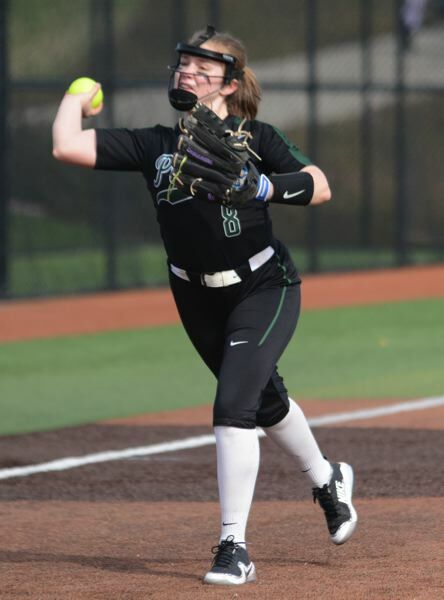 The game ended with a bouncer to the right side, which Madison Clark gloved without any trouble, making a soft toss to first base to end the game. "There was a considerable amount of pressure at that point, but I've been in worse situations," Croydon said. "I focused on keeping the ball inside, usually they don't hit those as well." Croydon struck out seven and walked one in her complete-game effort. Rex Putnam went 3-1 at the Hoodview tournament with earlier wins over Oregon City and Franklin. The team's only setback was a 1-0 loss to Central Catholic. The Kingsmen start the Northwest Oregon Conference season at 4:30 p.m. Tuesday at home against Milwaukie. David Douglas grabbed the early lead in Tuesday's game when Bailey Haga drilled a two-run line drive to center field to put the Scots onto the scoreboard before they had registered an out. Back-to-back strikeouts left Haga stranded at third base. Rex Putnam relied on solid defense to stay within striking distance. In the fourth inning, Jocelyn Bernard hit a tricky bouncer toward first base only to see Clark slide over to provide back up on the play and secure the out for a 1-2-3 inning. In the fifth, shortstop Faith Vadelund dived to her right to catch a line drive that was headed for left field. "I've been playing since I was young, and it takes a lot of work to make those reactions automatic," Vadelund said. "In the moment, it feels almost like slow motion. I knew I couldn't let it get by me, or we would give up extra bases." This story is slated for our April 3, print edition.